M&A activity in India is back with a bang on back of mega Telecom Industry deals involving Indian companies. 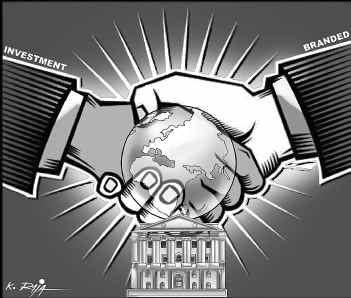 According to figures released by ASSOCHAM, Mergers & Acquisition deals valued at USD USD 33.83 billion were executed during just the first quarter of financial year 2010, a growth of about 257% over corresponding quarter last year, which registered deals worth USD 9.49 billion (April – June 2009). The Telecom Industry took the largest pie of M&A activity, accounting for deals worth USD 22.73 billion,which represented 67.19 per cent share in the total valuation of the M & A deals. The other sectors like pharmaceutical, banking and finance, metal and mining, energy, steel, cement, media and entertainment, aviation, real estate, IT and ITES, consumer durables, and hospitality witnessed 57 M & A deals pegged at USD 11.1 billion, contributing a total share of 32.81 per cent. the biggest M & A deal was done by Reliance Communication which merged its telecom tower business with GTL infrastructure Ltd for USD 11 billion. Among others, Bharti Airtel acquired Kuwait based Zain telecom’s African business for USD 10.7 billion. Reliance Industries acquired Infotel broadband for USD 1 Billion. The biggest deal in Pharmaceutical sector was the acquisition of the generic drug unit of Piramal Healthcare by USA based drug maker Abbot Laboratories (ABT) for USD 3720 million. In the Banking, Financial Services and Insurance sector, biggest deal was cut by Hinduja group, when it acquired Luxembourg based KBL European private bankers SA for USD 1.69 billion. One of the highlights of this quarter’s M&A activity was the phenomenal rise in Outbound deals, while a decline in inbound deals. A total of 28 outbound and 5 inbound deals were recorded in India during the quarter. This just goes to show that Indian companies are increasingly expanding their wings beyond Indian shores and creating a strong position of Indian companies in the world. Guardian offers its content free to publishers & bloggers – A sign of things to come! Fifa World Cup Final – Spain Vs Dutch – Paul the Octopus rules ! Experts Predict 40% Chance That Apple May Buy Netflix – Find Out Why! In a way these mergers are ofcourse good as its going to get indian companies in International market or domestic market to expand. Also the companies should still focus on their customer base as they have grown because of customers only.